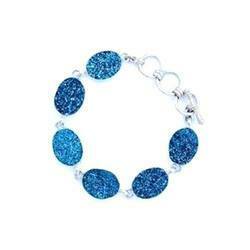 Pioneers in the industry, we offer titanium druzy pendent, titanium druzy ring, druzy earring, jarman silver druzy pendant, druzy bracelet and titanium druzy necklace from India. 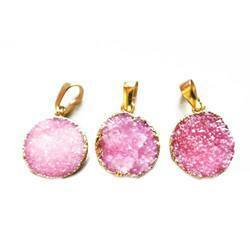 We are determined to provide superior quality Titanium Druzy Pendent. Our offered pendant is beautifully designed by our deft designers by utilizing pure and optimum quality raw material. Suitable to be worn with traditional and modern outfits, it has gained huge demand in the market. It is available in diverse designs, patterns and sizes to choose from. Moreover, we provide this pendant to our respected clients at market leading prices in excellent packing options. 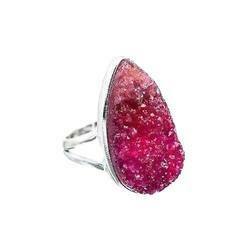 Backed by a team of experienced professionals, we are highly known organization in the market for providing a wide gamut of Titanium Druzy Ring. It is designed in accordance with the set parameters of the industry by using finest quality base material. Ideal to give as gift, we provide this ring in various designs, colors and sizes. We ensure that our offered ring add elegance to the wearer. 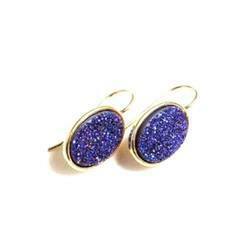 Our firm is counted amongst the significant names, offering a wide range of excellent quality Druzy Earring. 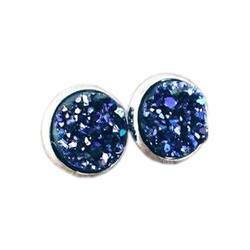 Our offered range of earring is available in emerald, diamonds and many more. This earring is designed keeping in mind the existing trend of the market. 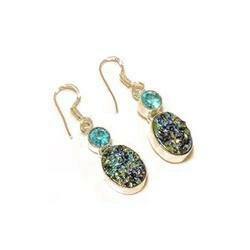 Further, we provide this earring in diverse designs and patterns to meet individual requirements of the clients. 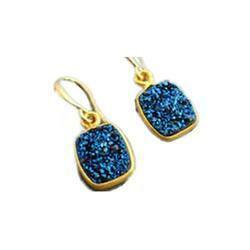 Clients can avail from us this earring at market leading prices within stipulated time-frame.